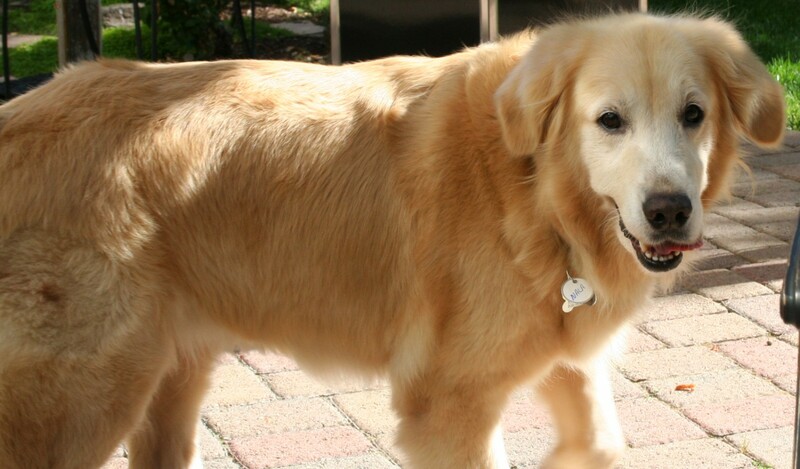 Kali is a Golden Retriever who was rescued in Taiwan in February of 2014. Before Kali she was Nala, named by her foster care-givers in Taiwan. Before she was Nala she was abandoned and left on her own in the streets. She was rescued by Taiwan Pawprint Dog-Friendly Society (TPDS). TPDS coordinates with Rescued Love From Taiwan (RLFT) a group that brings rescued dogs, mostly Golden Retrievers, from Taiwan to the United States. Working with rescue groups in Taiwan and Northern California RLFT coordinates fostering and adoption for many loving dogs who were living in less than desirable circumstances, surrendered, or left alone on the streets. Kali was one of 23 Goldens that arrived at San Francisco International Airport via China Airlines on Saturday evening, May 24, 2014. We met her at the airport, greeted her, and drove her home to Livermore to begin her new life in America. This is Kali’s story, and to some degree mine, from the time she arrived in America and joined our family. The tagline for this blog used to be “Kali’s new life in America”. The new tagline is “Kali’s new life in the mountains”. This is because in the Spring of 2016 after almost two years in America, and becoming a truly “American Girl” Kali, Holly, puppy Kloe and I moved to the Sierra Foothills of Northern California. So this remains Kali’s story, and as before to a large degree mine, as we both transition and adjust to living in the mountains in Tuolumne, CA. Kali is beautiful! Than kyou for sharing her story! Thanks for visiting Golden Kali! Hi Miss Kali–I’ve nominated you (and your dad) for the One Lovely Blog Award. (You can read all abut it here: https://thek9harperlee.wordpress.com/2017/08/04/isnt-she-lovely/.) You’re under absolutely no obligation to follow all of those silly award rules. I just wanted to let you know how much I’ve appreciated getting to know you and Kloe through your beautiful blog. Have a wonderful weekend! Dear MHL: thank you so much for this nomination. I am honored to have received it and even more honored to know that you, Talulah, and your mom are followers of Golden Kali. I will be working on this over the coming few days to meet as many of those “silly award rules” as possible. I just happened upon this site and it is great. We lost our Ivy 2 weeks ago. She was ‘Kate’ and came to the US on the same flight as Kali. Hi Kirsten – so sorry for your loss. It’s so great that you gave Ivey a second chance. I’m glad you found the Golden Kali site. She has been the love of my life since I took her out of that crate at SFO. Nice to meet Kali! Thank you for taking her into your family. We are parents to a 2012 Afghanistan immigrant bow wow. I am fortunate to know one of Kali’s kindreds, Della, a/k/a Cinder Della hailing from Taiwan I believe in April 2015, now living with a dear friend of mine. Della was believed to be a breeder which is hard to imagine since she is missing a paw (born without it). She is also the cover girl for the Arizona Golden Retriever Rescue 2016 calendar. Nice to meet you Run A Muck! Thanks for stopping in an sniffing around the Golden Kali blog. Wow, what a story! Looking forward to following Kali’s adventures with you. What a lucky girl. Hi Twilight – thanks for sniffing around and following Golden Kali! Thanks for following us. What awesome photos. Looking forward to following you too. Thank you for visiting and following Jacques’ Dog Blog. Wow! What a wonderful story you have to tell!! We’re so happy that you and Kali found each other! We look forward to reading more about your life together. We have Sophia who arrived in august 2013. Aren’t we the lucky ones?